Cercon: Cercon single units and frameworks are fabricated using a CAM (computer aided manufacturer) process. 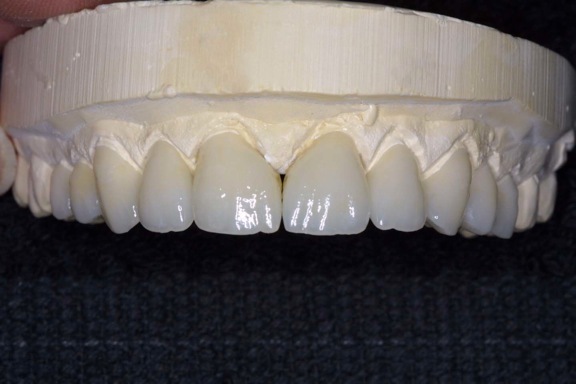 The restoration is first designed in wax on a conventional working model. The waxed restoration is sprued into specialized holding blocks and placed in the Cercon Brain for scanning where a confocal, class II laser takes precise measurements of the pattern. The data is then enlarged by the Cercon Brain to allow for shrinkage that will take place during the final sintering. 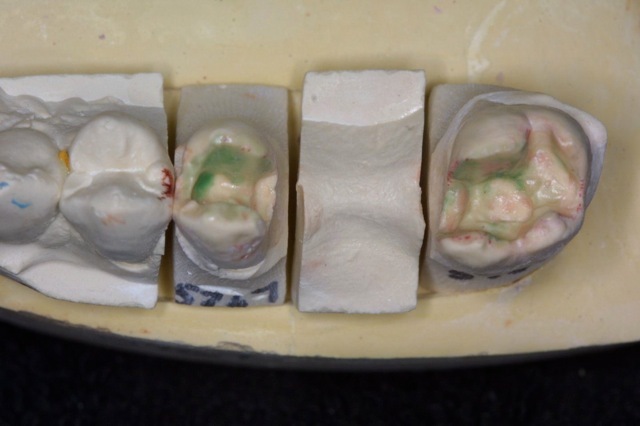 A zirconia block is then milled to replicate the expanded pattern and is placed in a specialized sintering furnace where final sintering takes place. Everest: High flexural strength, fracture toughness, and resistance to strength degradation make KaVo Everest Zirconium Dioxide one of the ideal materials for long-life all ceramic substructures. When patients satisfaction is measured in microns, we know that only peak precision and reliable results will do. EDA has invested the time and effort to learn this system so that we can provide our clients with the latest in all ceramic restorations. 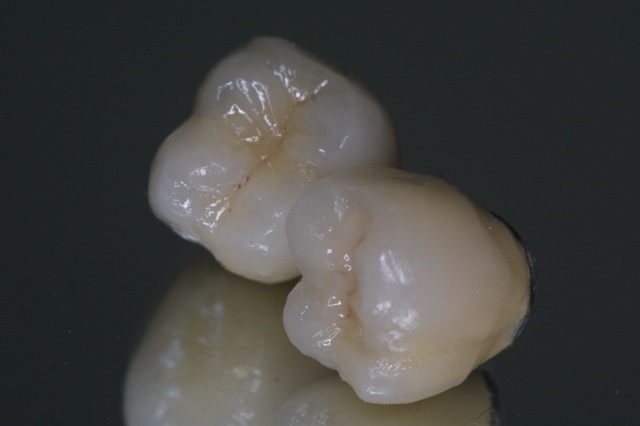 Coral: Highly esthetic zirconia understructures ideal to build your crowns and your business on. 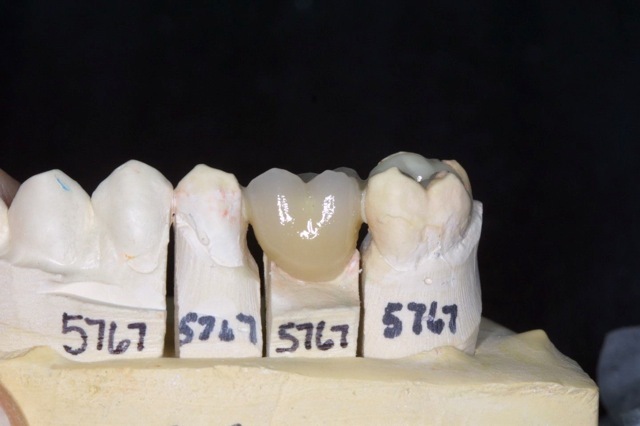 All Coral understructures are manufactured from your model work using state-ofthe art modeling software for functional and esthetic coping and bridge framework design. Coral precision milling equipment is custom built to manufacture Coral zirconia understructures that exhibit exceptional detail and fit. Coral restorations are available in two formulas. 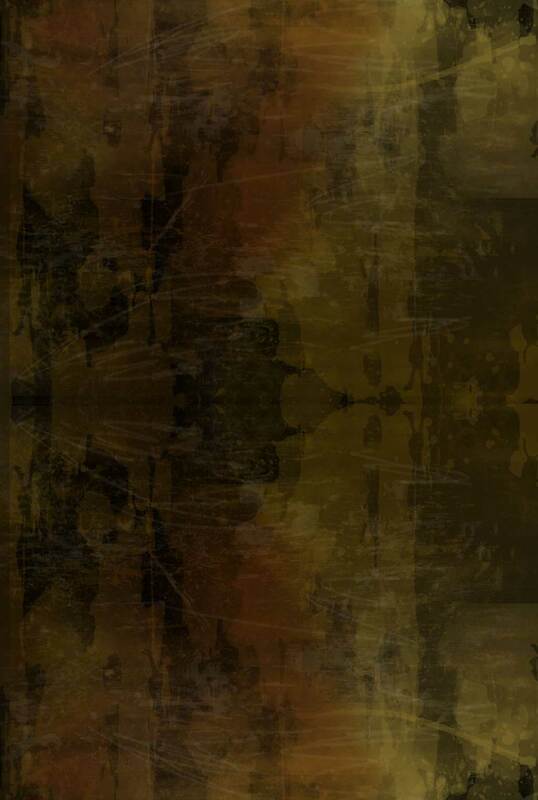 Empress Original: When esthetics is the primary objective. Over 20 years of clinical success. Empress Esthetic: Empress Esthetics raises the bar for pressable ceramics. 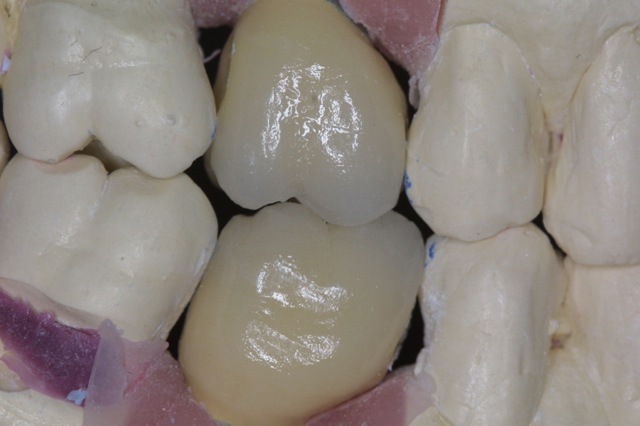 It provides true to nature characterization and translucency you and your patients expect. 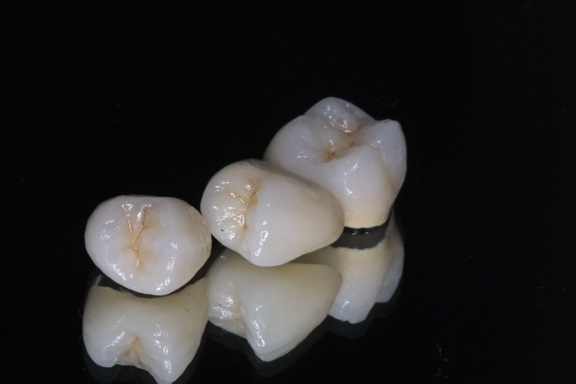 E.Max: The IPS all-ceramic system from Ivoclar Vivadent offers more than 20 years of proven experience to you and your dentists. 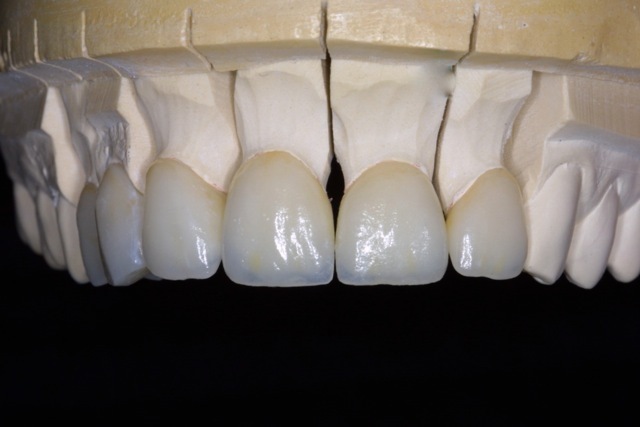 IPS e.max® is a lithium disilicate ceramic that provides optimum esthetics and strength. 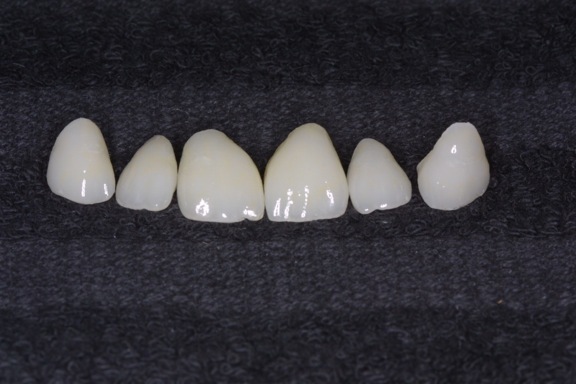 IPS e.max & IPS Empress CAD can be stained or layered to achieve virtually perfect contacts and occlusion. 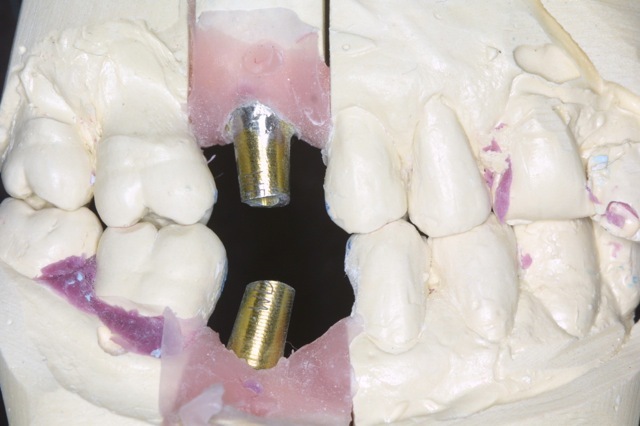 The absence of shrinkage optimizes fit, making it suitable for implants and anterior or posterior crowns. Conventionally bond or cement with resin ionomers. Captek: The warm, gold color of the understructures provides a perfect background for esthetic results with no unsightly gray lines at the margin. 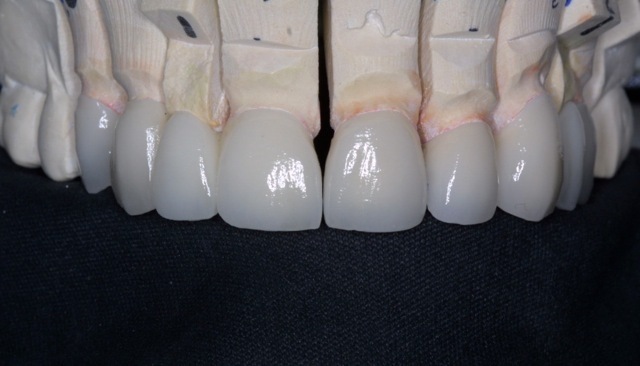 PFM: Traditional PFMs with NORTAKI porcelain. 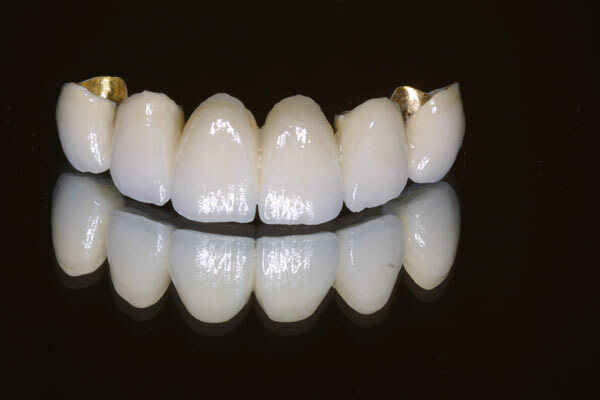 Full Cast Gold Crowns: Gold is predictable, kind to opposing dentition and bio-compatible with patients soft tissue, which eliminates sensitivity and allergic reaction. 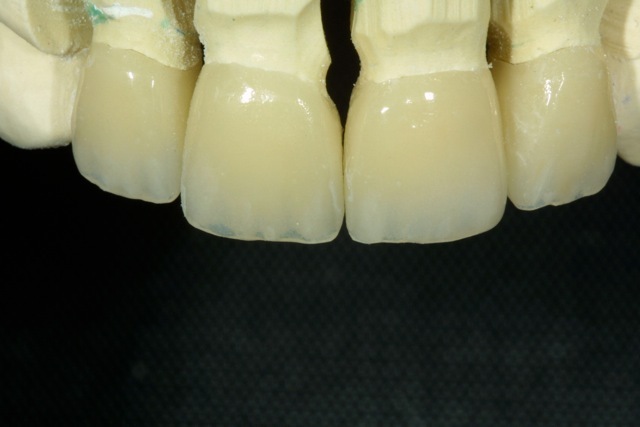 Diagnostic Wax-ups: Diagnostic Wax-ups are a valuable tool because they accurately show the patient, dentist and lab technician what is realistically available for the patient. Click here for more information. Reference is made to workdays - Monday through Friday. PLEASE DO NOT INCLUDE WEEKENDS, HOLIDAYS OR DAY OF PICK-UP. Please call the lab if you have a pickup. Offices calling after 9:15A.M. should expect their pickup the following day. Pickups and deliveries are made between 9:30 A.M. and 5:00 P.M. If no one is in the office, please expect pickup or delivery the following day, unless prior arrangements have been made. Please do not schedule patient the same day of expected delivery. Do not schedule cases to be delivered on the day you are closed. Rush cases are by special request only, depending on the labs schedule. Please call the lab before sending any rush cases. Occasionally, when we are overbooked on our schedule, we may need more than our scheduled time. *lf for some reason your case is delayed, we will call you in ample time to reschedule your patient. We appreciate your business and your understanding. Thank you for your cooperation.